Rockler Woodworking and Hardware is reaching out to woodworkers everywhere to help celebrate 60 years in the woodworking business. Since its genesis in 1954, the company philosophy has always been focused on being a leader in woodworking innovation, skill building and learning resources, and providing the best possible customer service. To help celebrate 60 years of woodworking history, Rockler is inviting woodworkers to submit their favourite stories and photos. Many of these personal woodworking stories will be displayed on the company's website as part of a special section made specifically for the 60th anniversary. Ideas for types of stories to submit include favourite memories in the shop, memorable triumphs or mishaps, lessons learned through woodworking and favourite or most meaningful projects. Submissions should be sent to celebrate60@rockler.com. Authors of the stories chosen to be featured will be entered into a drawing for a $100 Rockler Gift Card. 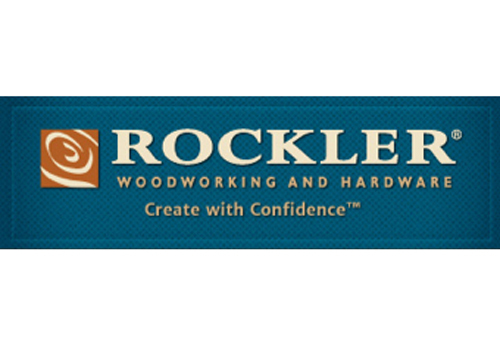 The Rockler story began in 1954, when Nordy Rockler started the Minnesota Woodworkers Supply Company in a garage in north Minneapolis. Over the last 60 years, that small mail-order business has expanded and evolved into the Rockler Woodworking and Hardware of today: an industry leading source of tools and supplies with a publishing division, a nationwide network of retail stores and an international presence through the catalog and website. "We are proud to reflect on 60 years in the woodworking industry, but the Rockler story is not just about the company," says Scott Ekman, Rockler's Vice President of Marketing. "It's about generations of woodworkers who have created special memories through their projects. Woodworkers, and our customers in particular, are at the centre of everything we do. We look forward to celebrating their stories which represent the heart and soul of woodworking."